myHermes are the worst courier I've ever dealt with. 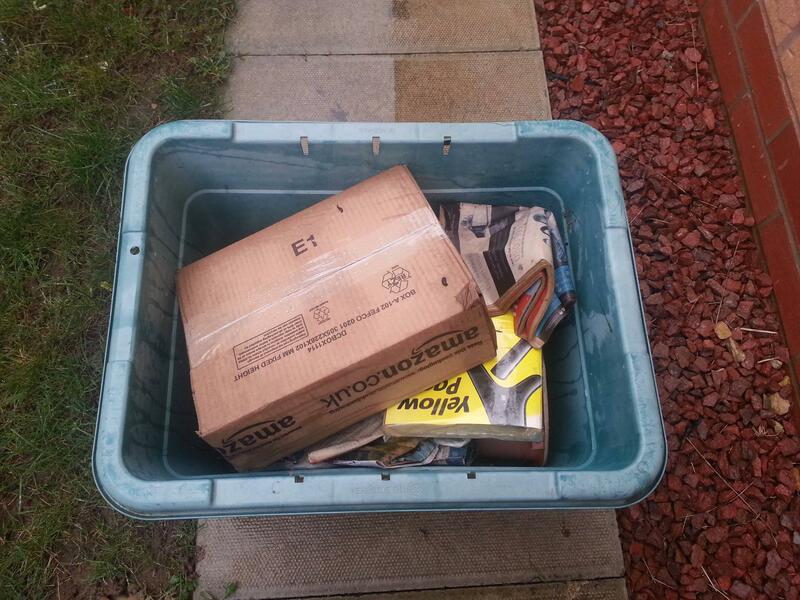 They delivered one of my Secret Santa gifts a few years ago directly from Amazon and just left it outside in the pouring rain one morning while I was at work. Fortunately the wrapping paper inside Amazon had used was pretty heavy duty, plus Amazon always go mental with packaging, so my actual gift was undamaged. Well that right there is a banana split but nonetheless acting independently of myhermes. They just provide the infrastructure. Have you always been able to choose your delivery slot with DPD? Got an email the evening before my delivery was due letting me chose from a selection of one hour delivery slots when the driver was in my area. Previously they always just automatically assign me one. I'm not sure. But they are probably doing that to compete with UPS My Choice, something worth signing up to. The app doesn't look like much but it's very good because you can make choices based on individual consignments. I think with the DPD app you could always send instructions like deliver another day or leave somewhere. Maybe you or the shop paid for timed delivery giving you the option to change it. Edit: I think sometimes I've got this email the the night before yeah. Mafro wrote: Have you always been able to choose your delivery slot with DPD? Got an email the evening before my delivery was due letting me chose from a selection of one hour delivery slots when the driver was in my area. Previously they always just automatically assign me one. I don't know why they don't all offer this. It would save them so much time and money if they were not faffing around trying to deliver stuff to people that are at work or not home at the time they turn up. Although I guess they might then have the problem that everyone wants the delivery between 6-9. 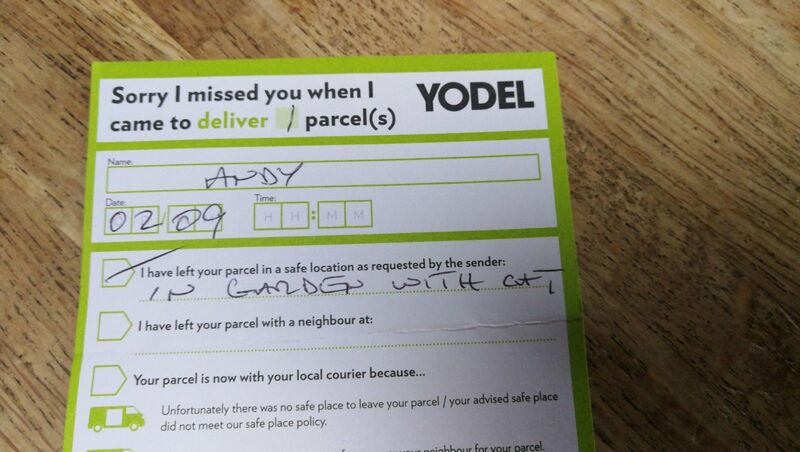 Forgot to say, we came to a yodel card through the door on Saturday saying a parcel was with the neighbours. Went next door and there it was, in perfect condition. I could even read the handwriting on the card. Previously I sent a load of stuff of to music magpie and had no issues as I used their pickup service. We did another load of stuff and used our local my hermes dropoff shop (at the bottom of our road, nice people in there). They scanned my 6 parcels and gave me a single tracking receipt for it. Check it today and 4 out of the 6 are marked as being returned to the shop and the other two are being delivered I have no idea what's going on and they dont have any contact details for me, I just have this receipt. So potentially hundreds of pounds worth of my stuff is going to get randomly dumped at a shop and I won't know if or when it's happened. The corner shops etc that run those drop-off/pickup points have no idea what they're doing. I once went to collect a £180 graphics card from Ebuyer, and they insisted (despite having the confirmation text with their shop address on it) that it wasn't there. I asked them to look again at least 3 or 4 times and eventually they found it in the wrong place. So yeah, you basically need to look up the process and then ensure yourself that they actually do it. Don't listen to anything they say. DPD I've found to be very good recently; not only do you get assigned a 1 hour slot by about 11am, you can then track the driver throughout the day in terms of location and delivery number. They also use marked vans. If I had to rank them at the moment, Royal Mail, DPD and RM Parcel Force would be my top 3. Hermes and Yodel are nearly always awful, but it's unfortunately what Amazon use outside of small items like books and discs. If I'm sending expensive items I will always use the Post Office. Dpd are.great around our way. DPD do my nut in. I have a lockable storage cupboard (meters etc in there) by front door. Leave it unlocked. Give DPD directions where it is, how to lock (turn the keyhole). Everytime they ignore it. I get an e-mail (with a picture of my front door, normally showing the cupboard, to prove they were there) that they weren't able to deliver as I wasn't it. A pox on all their drivers! Ad7 wrote: Dpd are.great around our way. Although I hear that their drivers are planning to steal any SNES Mini consoles that are in their vans. For are great here too, never have an issue with a delivery. DPD are amazing, so far ahead of everyone else. Love how in the app you can take photos of where you want your parcel left if you’re not in and of course the delivery map tracking thing is the best. Royal mail were supposed to deliver something from John Lewis today, I got a deleivery notification saying it's been delivered and with a neighbour. We're at home so it's not here, we've checked with the neighbours and nothing is there. There is an illegible signature on the track and trace page and it says I signed for it.